Interior designer Michael Berman took this grand 19,000 sq. ft. estate and created a livable home with understated glamour. The property, which sits on a 21 acre hilltop on Kip Drive in Benedict Canyon, Los Angeles, California, is a balance of timeless style and modern comfort. 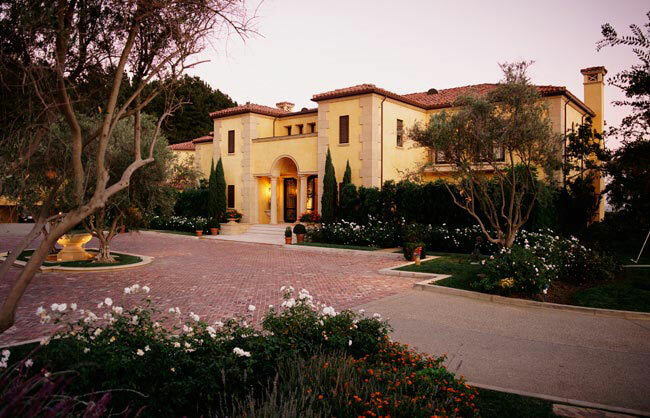 The Mediterranean inspired Tuscan Villa is ideal for entertaining and a dreamy private haven for the owner.